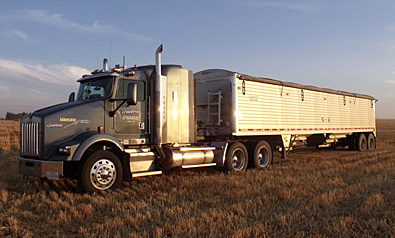 Work with Frederick Harvesting | Frederick Harvesting & Trucking L.L.C. Frederick Harvesting hires its employees from all states and several countries. Some of the countries represented in the past include Australia, England, Ireland, Scotland, Holland, and Denmark. You must have a sense of caring and respect for the people around you. You must be willing to learn and take instruction. You must practice good safety at all times and adhere to company policies. 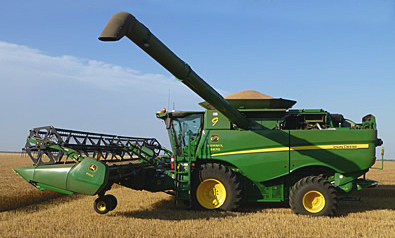 You must be able to commit for the duration of the harvest season, April/May through November. DDuring harvest, our work schedule is dependent on the weather! When the weather is good, we work long hours. When the weather is not conducive to harvesting, we have time to relax and enjoy recreational activities. As harvesters, we get paid by the quantity and quality of our work. Our employees get paid this way as well. Our work is rewarding. It feels good knowing our team finished a field minutes before a huge thunderstorm! If you are a capable, conscientious, and careful worker, we will give you adequate increases in your salary. If you have good work habits, are self-motivated, disciplined, dependable, not afraid of hard work, and enjoy a family-type environment, working with Frederick Harvesting may be the employment opportunity for you!